No need to walk around with clunky headphones when you can sleekly jam in style. Bassbuds are made with Swarovski ® crystals so you're ear drums can focus on crystal clear sound and the haters can focus on the crystals in your ears! 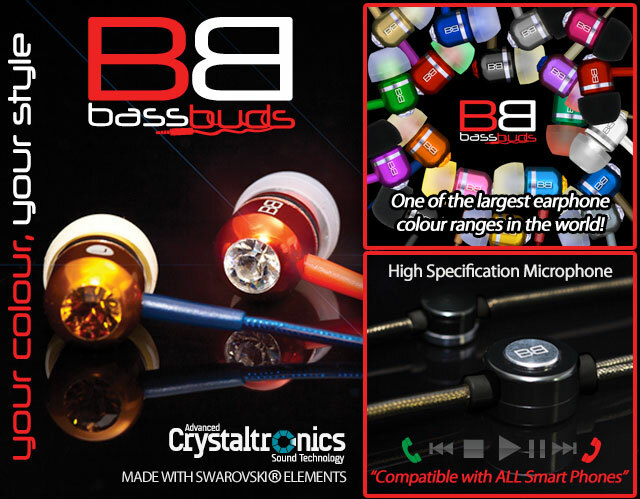 The BassBuds earphones feature Advanced Crystaltronics Sound Technology which uses a micro filter for extra audio purity. The sound waves emitted in the aluminum sound chamber are specifically tuned and directed towards the front chamber housing entering the ear canal with optimal bass and balance in treble. And I love these joints because you can show off your individual style; They come in a variety of colors ranging from platinum to candy! And celebrities are already getting on the board. Beat Butcha, music producer for Lloyd Banks, Jadakiss, Xzibit, Wretch 32, Plan B, Mac Miller, and Tony Yayo, said they're "perfect for bumping tunes when you're on the go. They're very comfortable in the ear, they look dope and most importantly, they got some of the best sound I've ever heard on commercial market in-ear headphones." On Friday nights, I'm all about the bling. 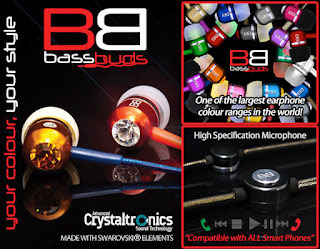 So the Swarovski ® elements in the Bassbuds earphones will match my Swarovski ® encrusted watch. These earphones are DOPE and some colors are already sold out! Grab a pair while you can! It is time to bid good-bye to those chunky earphones. 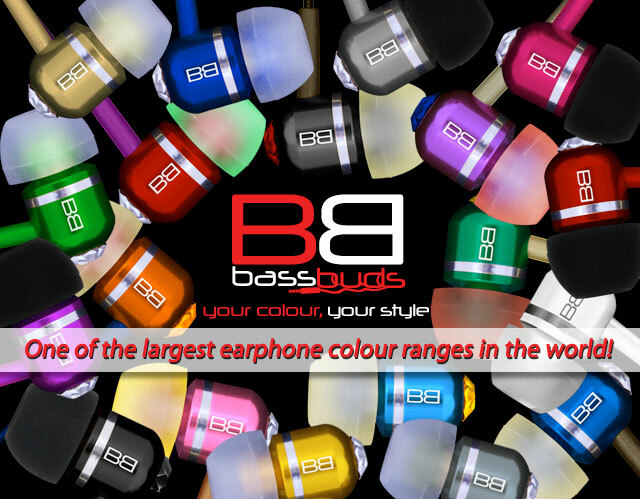 With Bassbuds everybody is listening to music in style. I love those slick looks. And thinking of Swarovski crystals on them I could not resist myself but buy a pair. Got overwhelmed by reviews of Bassbuds. It seems that everyone is talking about them. Have ordered a pair with crystals. I also want to sport them in style. I hope they will not disappoint me. 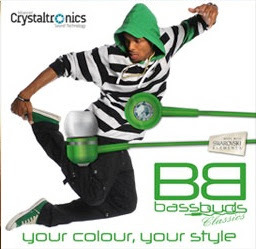 BassBud's are sheer quality! I use them a lot whilst out running. Has anyone tried their game yet on their website? You get a discount if you complete the game for 25 seconds or longer! Just ordered myself a set of the smooth ones! I am expecting big things from the reviews I have read!